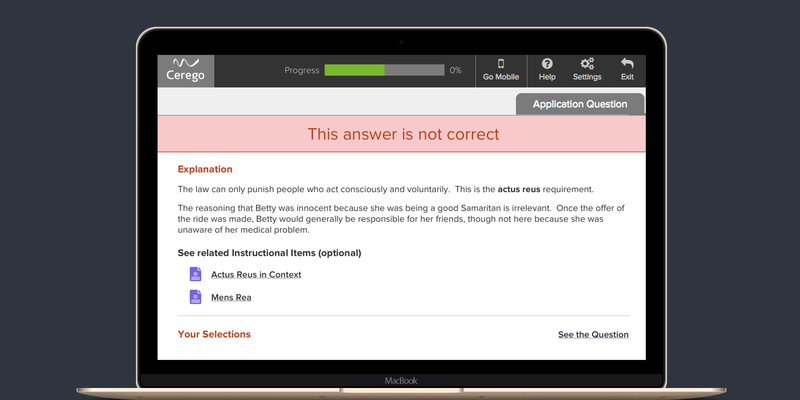 To help content creators develop scenario-based items, problem sets, or questions that require deeper thinking from their learners, Cerego has developed the Application Question item type. Similar to item templates you’ve used in the past, Cerego’s Application item type is designed for quick and easy item writing. Whether you’re using newly-authored content or existing test banks, the Application item type allows you to introduce critical thinking and analysis to your Cerego sets. 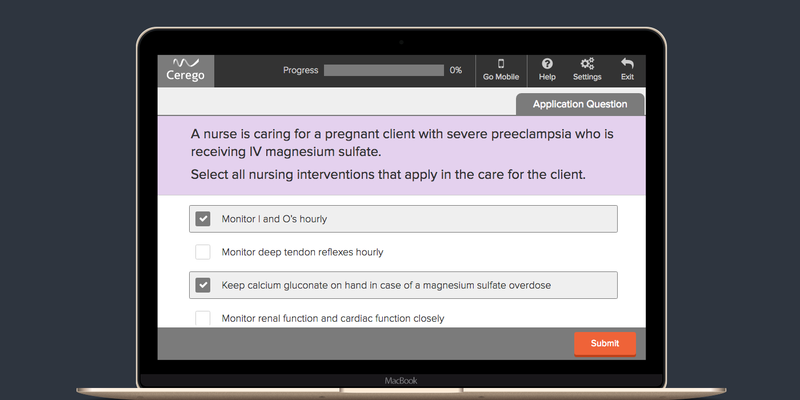 There are three distinct features for Application Questions on Cerego: custom explanations, links to instructional items, and multi-answer responses. First, unlike traditional Cerego items, Application Questions do not reveal a correct answer to the student if they answer the question incorrectly. Instead, Creators are encouraged to provide an explanation (for individual distractors, or for the item as a whole) to guide the learner toward the appropriate answer without sacrificing rigor. 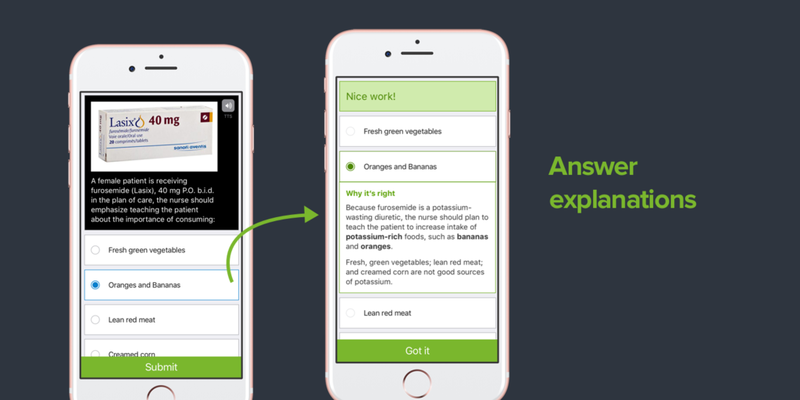 Custom explanations can be used two ways to craft exactly the kind of remediation and explanations you want your learners to see on the confirmation screen after they’ve answered the Application Question. 1. 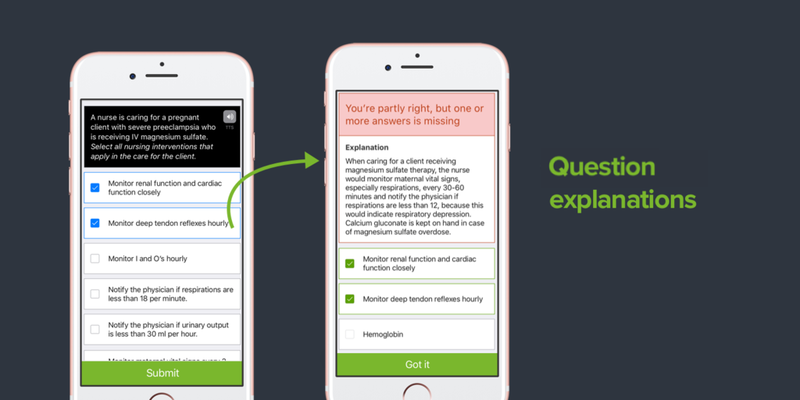 Question Explanations: Provide a custom explanation for your question, and take the opportunity to provide your learners with feedback. A question explanation will be shown to the learner on the confirmation screen regardless of whether they answered the question correctly or incorrectly. 2. Answer Explanations: Create explanations for each of the answers to provide fine-tuned feedback and custom remediation. Answer explanations will be shown for each answer that is selected by the learner. Second, if you’ve already created Instructional Items for your set, you can also easily link these materials to your Application Questions in case students need a quick review of prior lessons. The inclusion of Instructional Items can create engaging, effective instructional experiences to support learning. Finally, Application Questions also allow for multi-answer responses. Create complex and challenging questions to deeply engage your learners on Cerego. The Application Question item template is optimized for questions that pose a scenario, example problem, or case study. These are items that require deeper analysis from your learners, encouraging them to leverage the foundational content they’ve already mastered. These items do not appear in your learners' study schedules with the same frequency of other items, encouraging active engagement as they are presented with the material. Access the Application Question template in your set’s item editor, directly below Instructional items. participate in higher level knowledge application on the go. The best way to learn is to get hands-on. 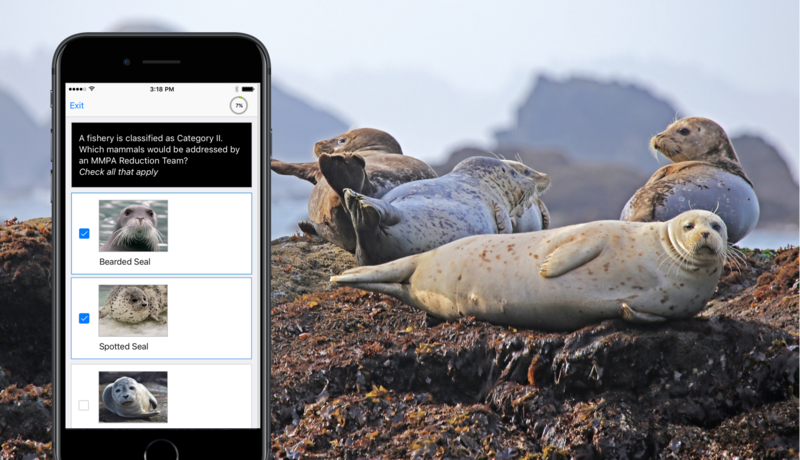 Try creating Application Questions today and tell us what you think!